Below you'll find useful information for those of you planning a stay at the Quality Hotel Leangkollen. Please don't hesitate to contact us in case you have any further queries. The hotel has a large outdoor car park where guests are welcome to park free of charge. 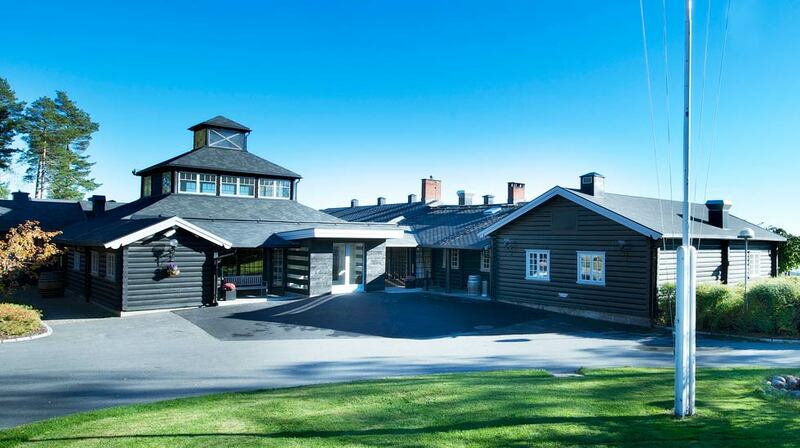 The Quality Hotel Leangkollen is a cash-free hotel. This provides a safer working environment for our staff as it reduces the risk of theft and burglary. It also means that we have more time to spend on taking care of our guests. For guests it means faster and more secure payments. We accept all major debit and credit cards. Please contact us for more information. Forget to pack something? No problem! We have a good range of toiletries and other items available for purchase in the reception. Need something we don't have? Just let us know and we'll help you get it. Pets are always welcome to stay with you in your room for just 250 NOK per stay. Just make sure to notifiy us at the time of booking, so that we can allocate a pet-friendly room to you. You can play both bocce or kubb (lawn games similar to petanque and horseshoes, respectively) in our apple orchard. Just contact the reception to borrow the equipment. The area around the hotel is ideal for runs too and we are more than happy to provide you with suggested routes. We also have our own gym with weightlifting and cardio equipment on the lower ground floor of the hotel. The Elixia in Asker is about a 30-minute walk away from the hotel (7 minutes by car). The Risenga Indoor Pool is about 15 minutes' walk from the hotel. This award-winning facility features a therapy bath, sauna, pool and water slides. Entry costs 105 NOK per person.